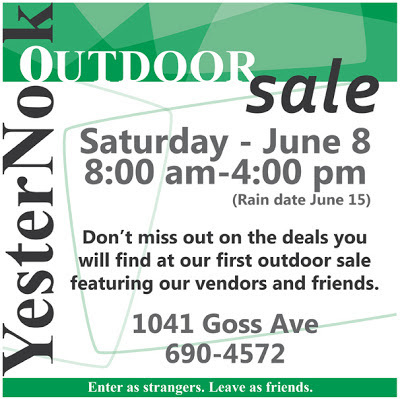 Schnitzelburg is a mecca for antiques and rare finds and this weekend you will have an even greater chance at finding that one of a kind item at Yesternook's gigantic outdoor sale. 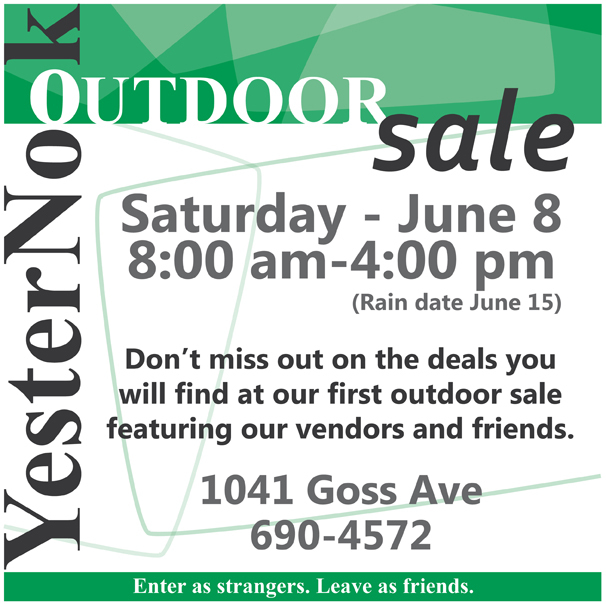 Don't forget that Saturday is the day for our big, big Outdoor Sale! You do not want to miss this one. There are over 30 sellers participating! All the spaces have been spoken for, so it will be a full house! Several vendors will be selling things at drastic markdown, while many of our friends have decided to join us with spaces. It looks to be a fun time for sure. Who knows what you'll find? We'll also have food for sale as well.